As you look for a new vehicle, it’s important to understand all aspects of the shopping experience. This includes not only knowing how to find the right model for your needs but also what makes the most sense to you financially. Purchasing the vehicle with the help of a loan and leasing it both have advantages, but there are potential drawbacks too. If you want something reliable to drive in Metairie, LA, and an INFINITI Q50 lease intrigues you, understand the pros and cons and see how they play into your preferences and situation. Interest rates have a crucial role in how much you’ll pay for the vehicle over time. These rates can jump all over the place, but they’re usually lower with a lease than with a loan. It’s not uncommon for leasing interest rates to be around the 2 percent range. Compare this with loan rates that can be two points higher—sometimes even more. This alone should pique the curiosity of Metairie, LA, drivers. Your monthly payment shouldn’t be the only factor you consider when looking for a vehicle. However, a major perk of an INFINITI Q50 lease is the fact you’ll pay less than you would for a loan. This is because instead of paying for the current value of the vehicle, you pay for how much it will depreciate over the next three years. This could allow you to get into a better vehicle for less money. If you continually lease, you shouldn’t have to worry about performance issues or mechanical problems as you drive in Metairie, LA. You’ll have a vehicle during its prime because you’ll have a new vehicle every three years. On the negative side, it’s important to recognize that there are some limits when you get an INFINITI Q50 lease. The dealers will set a maximum number of miles you can drive each year or during the three-year lease. This range is usually around 12,000 miles. If you exceed that range and return the vehicle at the end of the lease, you’ll have to pay a penalty. Also, you can’t modify the car in any way. Plus, some customers don’t like the idea of always having a car payment, which is what you’ll face if you always lease. 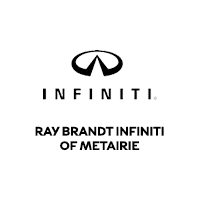 Check out an INFINITI Q50 lease today at Ray Brandt INFINITI. The team can help you choose a new model to drive home to Metairie, LA.